Enterprise apps for your team.Build your custom app or buy ready-made one. No code. business? Then you have to check qalcwise! Let Qalcwise suprise you! It's a completely new approach to how spreadsheets are used to effectively run business processes. It's a new way to work. Check Qalcwise Business Applications Marketplace. Designed by Business for Business. No code needed. Spreadsheet Use on-line qalcwise spreadsheet widgets to design your application. Use formulas for business calculations. Workflow Visually draw your application workflow. Who-does-sees-what-and-when. Use formulas to calculate flows and approvals. Collaboration Enjoy calculation empowered business collaboration and communication in Qalcwise. Analyze and make decisions. Work smart, work less, try Qalcwise It's simple like this layout. Qalcwise Business Applications allow our Customers to address their custom business needs with flexibility of a spreadsheet while providing Enterprise Class scalability and workflow. Any business process challenge can be quickly solved by business users themselves with NO CODING involved. Let's bring agility to your business! Create your own business apps and place them on Qalcwise Business Applications Marketplace! It's free for Qalcwise Partners! Lafarge uses Qalcwise’s apps to manage S&OP forecasting processes. Schindler employs uniquely tailored app for the site access control and Qalcwise TEM for travel & expense management. Costa Coffee has applications in Qalcwise helping with new product introduction and marketing. 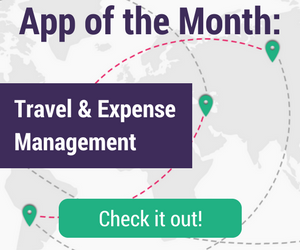 Novita uses Qalcwise TEM application which is designed for travel and expense management. Incube CPM makes use of our apps for project management, holiday requests, time tracking, invoice management, quotation or travel and expense management. Moreover, the large part of Incube's communication with clients takes place in Qalcwise. Decsoft manages employer’s holiday requests with an app made in Qalcwise. ZYX uses Qalcwise for invoice management. Runmageddon automates its HR processes with Qalcwise. filling it and sending it via e-mail in another tool? It's time to start working smarter!